February 09, 2016. Today’s song is “Guilty” by Newsboys which currently sits at #17 on 20theCountdownMagazine‘s top 20 chart. I was really hoping the “guilty” was going to be a reference to our sin and that the point of the song was to preach Law and Gospel, Repentance and the Forgiveness of sin. I’m rather disappointed in what I found in the lyric. 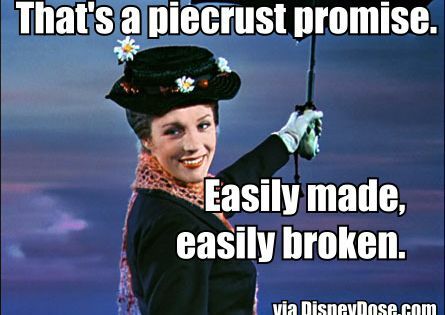 This song is the CCM equivalent to a pie crust promise, “easily made, easily broken” (Mary Poppins quote). It only works in a worldview where being told “you can’t say ‘Jesus’ because of ‘separation of church and state'” amounts to persecution. It doesn’t. Not even close. The song also suffers from a “cool-rebel” motivation for proclaiming the Gospel and Worshiping our LORD and Savior, Jesus Christ. What a stupid motivation to push. We aren’t motivated by rebellion, we are motivated by the Truth of the Gospel of Grace. Let’s get down to it. I’ll pay the price to be your light. Verse 1. When did it become breaking the rule… quite early on, in fact. Now when they saw the boldness of Peter and John, and perceived that they were uneducated, common men, they were astonished. And they recognized that they had been with Jesus. But seeing the man who was healed standing beside them, they had nothing to say in opposition. But when they had commanded them to leave the council, they conferred with one another,saying, “What shall we do with these men? For that a notable sign has been performed through them is evident to all the inhabitants of Jerusalem, and we cannot deny it. But in order that it may spread no further among the people, let us warn them to speak no more to anyone in this name.” So they called them and charged them not to speak or teach at all in the name of Jesus. But Peter and John answered them, “Whether it is right in the sight of God to listen to you rather than to God, you must judge, for we cannot but speak of what we have seen and heard.” And when they had further threatened them, they let them go, finding no way to punish them, because of the people, for all were praising God for what had happened. For the man on whom this sign of healing was performed was more than forty years old. The religious leaders of the day forbade preaching, speaking, and teaching in the name of Jesus despite having such a powerful sign of healing testifying to the Name of Jesus in their midst. So, Biblically, this song is already starting on the wrong foot. At best it is appealing to the American nationalist who believes America to be a Christian nation where the name of Jesus would never be considered illegal to invoke. From that misguided and short-sided perspective, it makes sense. Notice the caveats I had to employ. Now it seems this song is being written to address “Christian-American Culture” with the first lines of the first verse addressing the current trend of ruling against Christianity in all cases of “1st Amendment Religious Freedoms”. It is worth noting that the only religion consistently being prohibited is Christianity. That’s to be expected since it is the only True religion. If the first couple of lines are regarding “freedom from Christianity laws” the next lines are probably an attempt to address abortion, euthanasia, and assisted suicide (truth about Life and Death). Society wants to hear nothing about what God’s Word says about life and death. The last line is supposed to connect what is being prohibited is connected to the Gospel of Jesus Christ, the promise of forgiveness from sin and the Promise of eternal Life in Jesus Christ. The problem is that the lines don’t bear this out, I’m eisegeting into them my best construction. The other way this can be taken (and I think this way resonates more with its intended audience) is a build-up to rebellion, a pep-rally for cultural revolution… with an Evangelical flavor. Now, in the parable Jesus gives voice to all that is going on in their hearts. There is also a contrast in outward actions, yet, but even if the Pharisee were on his knees with his arms lifted in the air saying the same “prayer” would have yielded him the same results in the parable. But there is another problem with boldly declaring how you will react should a situation arise of which you have no understanding… you make oaths you cannot hope to keep. You’ll sin, and have to repent of lying to boot. And we don’t need to go to the unbelieving Pharisee to make this point… we can look to the Apostle Peter. Jesus told him point-blank he was going to fall away, but that He had prayed for Peter so that after he has turned again he might strengthen his brothers. All of them were going to fail, but Jesus assured them that He would bring them back. Peter doesn’t get it and decides to prove his zeal by making lofty claims of what he would do. Friends, you can’t out-zeal the Word of God. Just can’t do it. So don’t do it. Confess the Word, don’t try to one-up it in your misguided zeal. Chorus. Works. Law. No Gospel. Dear Christian, you do NOT want to be judged by your works. You’ll fail. We all fail. And this gets kinda weird in that it’s somehow making rebelling against an antichrist state is a good work. That’s not what defines a good work. Please, this is a twisting of a sense of rebellion into a zeal for righteousness… but it’s starting in the wrong place. We don’t start by countering the World. The Great Commission isn’t based on the world, it’s based on Jesus Christ. There is no mention of whether or not we’ll be arrested, or imprisoned, or convicted by the courts here… nor should there be. The motivation is Christ, not works, not rebellion against the world. That counter-culture stuff comes from theology of glory, a theology of purpose-driven nonsense and of dominionism and it’s 7-mountain fantasy. It’s all rubbish. We preach Christ and Him Crucified because of what He has done for us. Verse 2. The focus of this verse is the singer. It’s a continuation of the thought at the end of the pre-chorus, through the chorus about all of the great works I’ll do IF the world crosses the line and makes this stuff illegal. /sigh. I’m getting more frustrated by this song by the minute. Bridge. I’ll pay the price to be your light… I can’t even, right now. Tell me, what price will you pay for being Christ’s light, hmmm? With so much self-motivated works driving the lyric in this song, I’m left with no positive way to spin this line in the bridge. It still sounds like Peter defying Christ’s warning concerning his impending falling away and subsequent restoration. Stop boasting in your flesh. Stop trying to editorialize your good works. I mean, who wouldn’t like having a personal narration guy extolling your virtues and magnifying the hardships you’ve had to face and overcome…. by the Grace of God, naturally… and how you had to fight the good fight and blah, blah, blah, look at my good works. Vanity. While one might be able to make an attempt at arguing in favor of the intent of the song, the song doesn’t stand on its own. It starts off on the wrong foot in the very first verse and never recovers. While I attempted to give the first verse its best construction, the rest of the song dives headlong into crushing legalism. Don’t make promises you can’t keep, and even if you did they don’t advance the Gospel in any meaningful way. Preach the Word. Proclaim Christ and Him crucified. Know that we will face persecution, and take comfort in the Words of our Lord and Savior, Jesus Christ, “take heart; I have overcome the world“. Romans 16:25-27 (ESV) Now to him who is able to strengthen you according to my gospel and the preaching of Jesus Christ, according to the revelation of the mystery that was kept secret for long ages but has now been disclosed and through the prophetic writings has been made known to all nations, according to the command of the eternal God, to bring about the obedience of faith— to the only wise God be glory forevermore through Jesus Christ! Amen. I can see the argument being made that it’s talking about how they’re not afraid to share the gospel in the midst persecution, and not that they want to share the gospel in spite of persecution, but there are still other faults with the song that you pointed out.